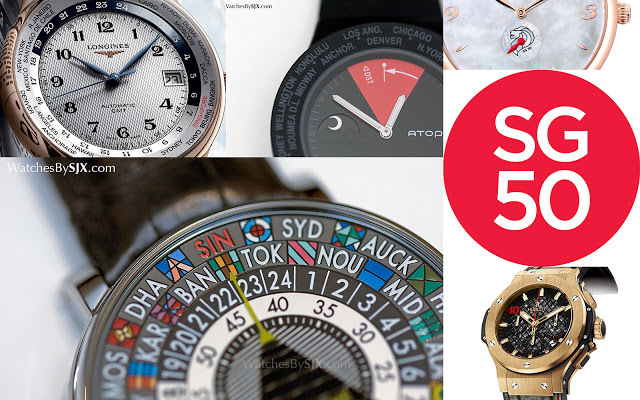 Singapore celebrates its 50th year since independence on August 9, 2015, and several watchmakers have unveiled special editions for the event, known as SG50. Singapore declared independence from Malaya in 1965, starting a 50 year climb into the ranks of the richest countries in the world. SG50 is a major event in Singapore, which is also one of the key markets globally for fine timepieces. As a result several watchmakers have created special editions for Singapore’s 50th national day. Here are five special editions for SG50; unsurprisingly three happen to be world time watches with “Singapore” on the cities disc. 1. 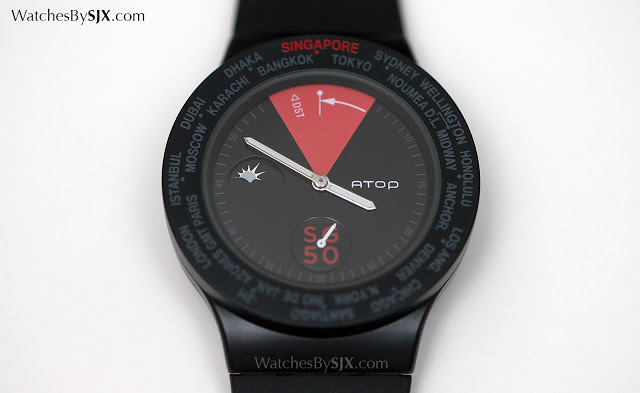 Atop World Time Singapore Edition – The most affordable watch in the SG50 selection, the Atop World Time costs S$193. The movement is a simple quartz calibre but what’s clever about it is the world time mechanism. The city representing local time is at 12 o’clock and turning the bezel in one step increments for each time zone advances the hour hand by one hour. And it also accounts for summer time by setting the local time zone to 11 o’clock. 2. 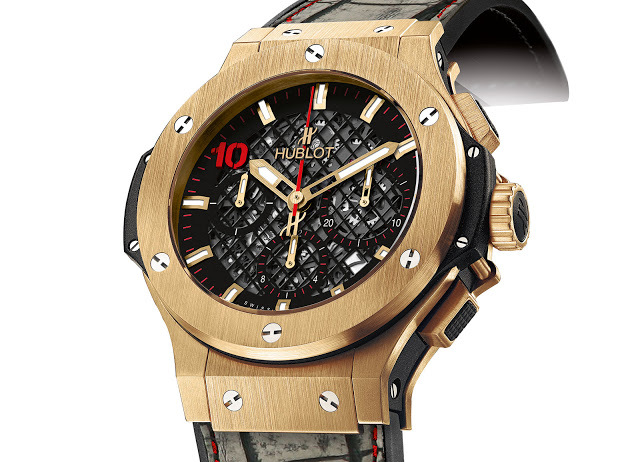 Hublot Red Dot Bang – A limited edition created to mark twin events – the 10th anniversary of the Big Bang as well as SG50 – the Red Dot Bang is named after the nickname for the tiny city state (as in the “little red dot” on the map). It’s limited to 10 pieces in yellow gold and 50 in Hublonium, a magnesium-aluminium alloy, priced at S$66,400 and S$36,600 respectively. 3. 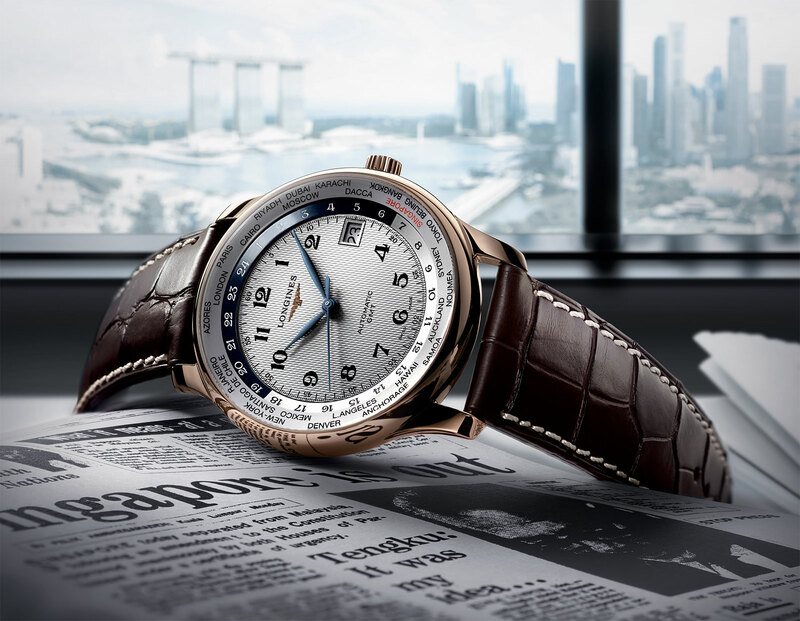 Longines Master Collection GMT World Time – The very first SG50 edition to be launched when it made its debut in mid January 2015, the Longines GMT is a dual time zone with a rose gold case. Singapore is highlighted in red on the cities disc, and the movement is an ETA 2824. It’s limited to 50 pieces with a price of S$9990. 4. 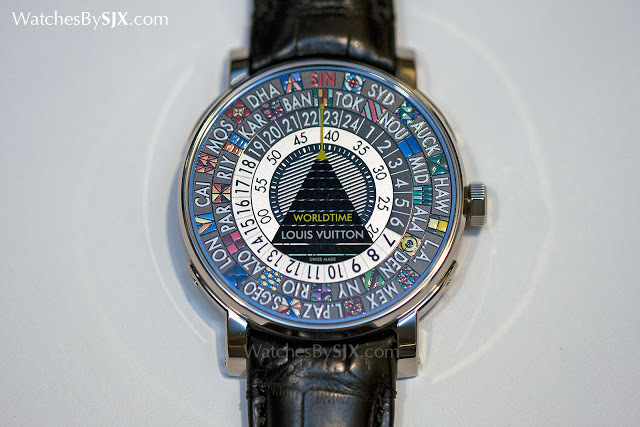 Louis Vuitton Escale World Time SG50 – A nine-piece limited edition variant of the Escale World Time, the SG50 edition has the same hand-painted, Technicolor dial, except that the time zone of GMT +8 is indicated by “SIN” instead of “BEI” for Beijing. The world time module for the movement was designed by La Fabrique du Temps, with all its set via the crown, backwards or forwards. Priced at S$90,800. 5. 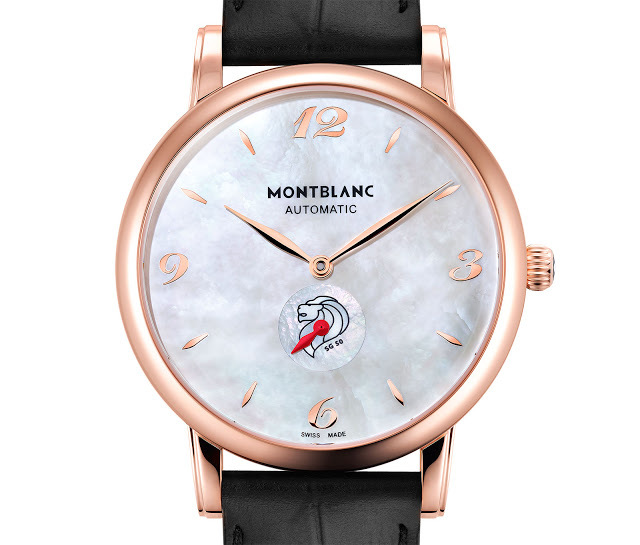 Montblanc Star Classique Singapore Special Edition – Featuring a mother of pearl dial with Singapore’s lion emblem at six o’clock, the Montblanc SG50 wristwatch is a limited edition of 50 pieces priced at S$14,200. It’s self-winding with an ETA 2892 inside. And Montblanc has also created a trio of limited edition writing instruments for the same occasion. 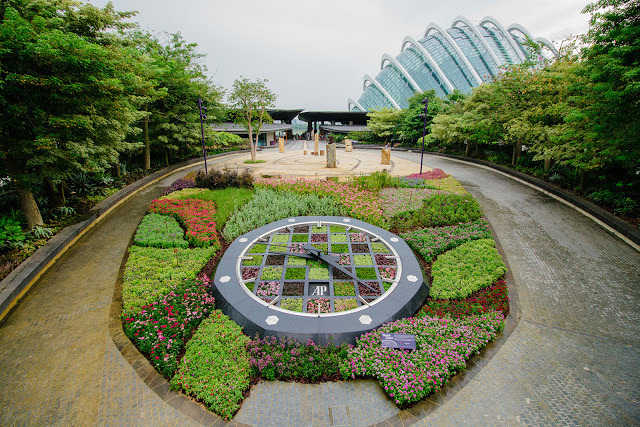 And it’s not a watch, neither is it for sale, but the Audemars Piguet Floral Clock at the Gardens by the Bay is worth mentioning. Donated by Audemars Piguet to the seaside park, the Floral Clock is shaped like a Royal Oak, right down to the checkerboard tapisserie dial. And here’s wishing all Singaporeans a very happy National Day.